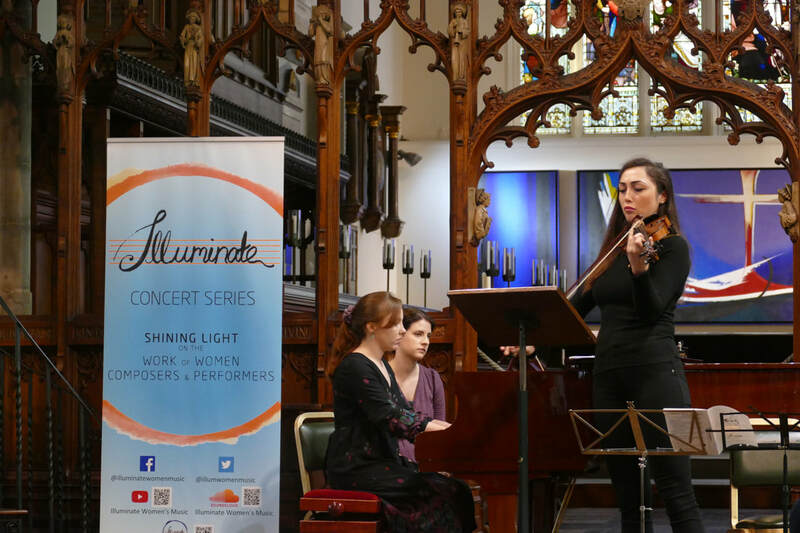 Building on the success of Illuminate Women's Music 2018 concert series, Illuminate is proud to announce there will be two seasons in 2019 supporting even more women performers and composers! Illuminate Women's Music 2019 Season I is supported by PRS Foundation’s The Open Fund for Organisations. Season I Illuminate performers in residence will be Boston-based piano trio Prism who will work with composers Kerensa Briggs, Laura Shipsey, Angela Elizabeth Slater, Sarah Westwood and Blair Boyd. These new works will be programmed alongside an exciting array of historical women's repertoire including Morfydd Owen's 1914 piano trio, Grazyna Bacewicz Lullaby for violin and piano and Lili Boulanger's Piano Trio “D’un Matin de Printemps as well many more! Excitingly in Season I we will have concerts in both the US and UK! Check out our What's On Page for more details! If you missed any of our 2018 concerts you can now catch up on our Youtube channel - check it out! ​Details of Illuminate Women's Music Season II will be coming soon. We are delighted to announce the support of Ambache Charitable Trust for these activities of 2019 Season I and II. We are also delighted that RVW Trust will be supporting our Season II activities. ​If you would like to know more information about Illuminate ​concert series or would like to be potentially involved in future series please get in touch with the founder and artistic director of Illuminate Dr Angela Elizabeth Slater.